Time spent in a garden is a metaphor on life. The objective is not to “prove” yourself. Your intent should be to “improve” yourself and the quality of your environment. A garden by definition is a space, a plot, a pot, a place where plants are cultivated. This can be just about anywhere and size does not matter. It’s the cultivation part that matters. It is projected that in the coming years the percentage of city dwellers will increase from 54% to 66% of the world’s population. A move from the rural to the accessibility of city life. Older generations like the convenience of walking distance and younger generations like the opportunities for experience and lifestyle. This move will change how we love our gardens and we will use plant material in tighter or smaller spaces. It has also produced a resurgence in indoor foliage plants for “breathing” rooms. Cultivate is a verb, an action so let’s get growing. Get beyond the fear of failure and get your hands in the dirt. Consider planters or window boxes or in winter windowsill gardens as a starting point. What you plant, what you do is not permanent and it’s changeable. Pot something up and don’t consider it permanent. Your “garden” won’t change as often as your clothes but can and should change more often than the batteries in a smoke detector or the toothbrush in your bathroom. If dentists recommend changing your toothbrush every 3 months then why don’t we change the smile on our living space as often? If the word “work” is a synonym for cultivation do not lose sight of the fact that culture, nurture and enlightenment can also be argued as closely related synonyms that make what you’re doing akin to having discriminating taste. Especially if it relates to edibles like herbs, air quality plants like foliage houseplants, sustainable water misers like succulents or blooming mood lifters like an orchid or a Kalanchoe. Planning for a growing space for spring is good but it starts in February. A habit of nurturing and being surrounded by plants has it’s roots in February. Start with small spaces, places and pots. 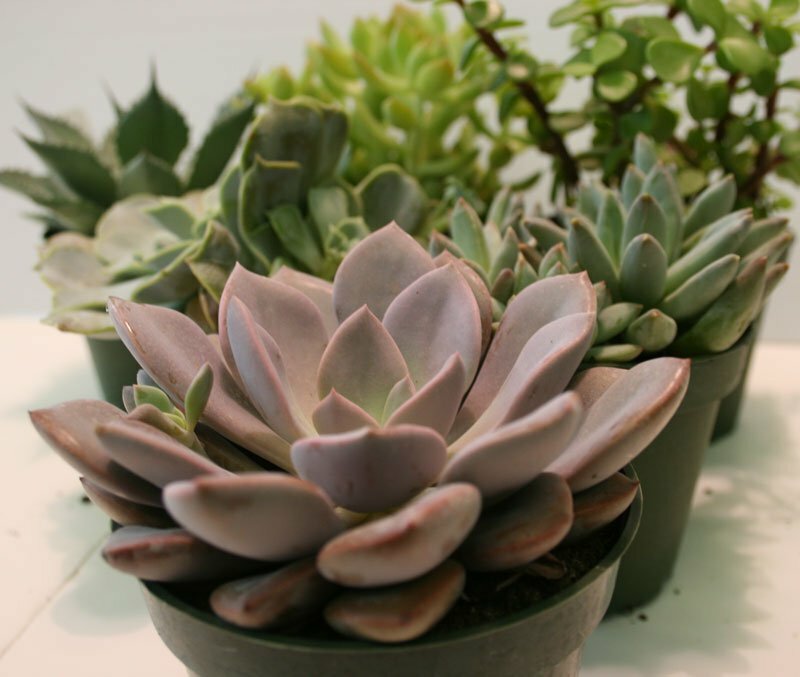 Succulents, herbs and foliage tropical plants are the perfect place to start. 1. Get over your fear of failure. People fail everyday so fail early and fail often. 2. Your attempt at horticulture does not need to be either perfect or a work of art. We’re not trying to recreate the hanging gardens of Babylon here. 3. A good container with room to grow, quality potting mix, light and a determination not to drown your plant with kindness will get you a long way to a “garden” you will love. Practice now on your cultivation and plant nurturing skills so when we get to the frost free days in May you’re ready to plant a garden you love of blooming and edible delights. Indoor plants can move outside with you when frost is finished sometime in May so you can continue to cultivate your relationship with them and add new friends or in this case “fronds”. Here is a list of my recommended plant friends for right now who will help you grow relationships. Once we get through the winter months it will be the big leagues and we’ll have the chance to significantly expand your affiliations and alliances to create a garden you will love.